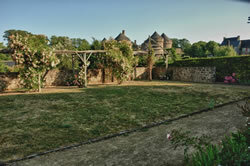 This inspirational garden was designed by Thierry Jourd'Heuil and created by the town's' Espaces Verts' (green spaces). 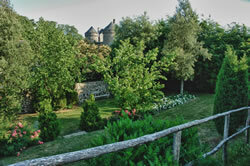 The castle is always visible from the upper section of the garden, which is divided into four sections. The garden lies close to the castle and is bordered by a large lavoir with one of Alain Legros's wood sculptures - "The Washerwoman"